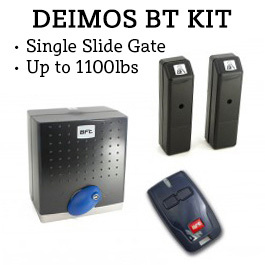 The BFT Kustos BT L is a swing gate operator capable of moving gates up to 550 lb and 16 ft 5 in. 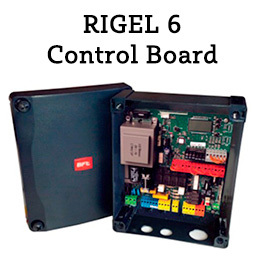 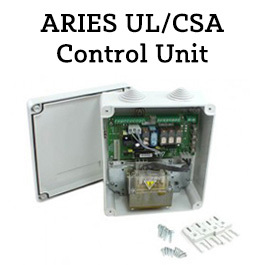 This complete kit includes everything you need to get your automatic gate opener up and running, as well as power it using the clean energy of the sun. 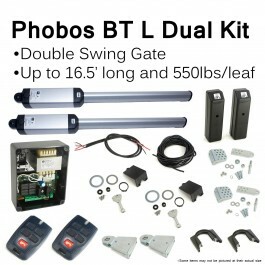 This is a dual swing gate operator kit containing two BFT Kustos BT L operators, each capable of moving a gate up to 550 lb and 16 ft 5 in. 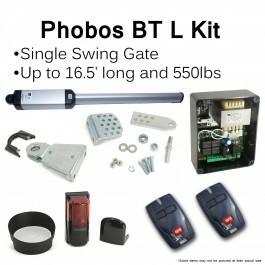 The Kustos BT L is a safe gate opener that uses obstruction sensing technology to automatically reverse motion the second contact is detected to prevent harm to a person or vehicle. 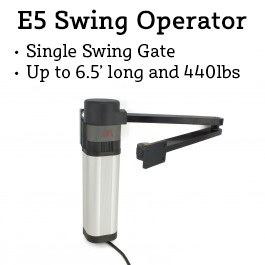 This is a complete kit including everything you need to get your automatic gate opener up and running, and power your operator with the clean energy of the sun.